Matt joined Minoli to work as a team member in the merchandising & marketing department after many years working for Oka, the furniture company. 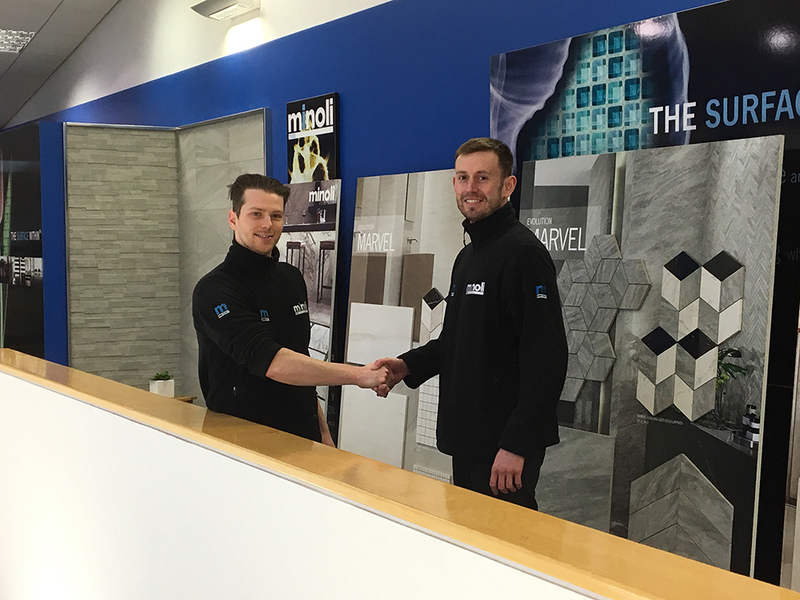 Matt is pictured (right) being formally welcomed to the company by Nick (left), Merchandising Manager for Minoli. With the ever increasing demand for sampling material and displays of Minoli products by new and existing clients, we are sure that Matt will be kept very busy indeed.